Blessed with all forms of auspiciousness is the Sri Kandaswamy Temple located at Jalan Scott, Kuala Lumpur. In the Tamil Year Manmatha, on Monday 14th Day of Aani (29 June 2015), a Panchavimsathi Kalasaabishegam and Shanmugaarchanai will be held. 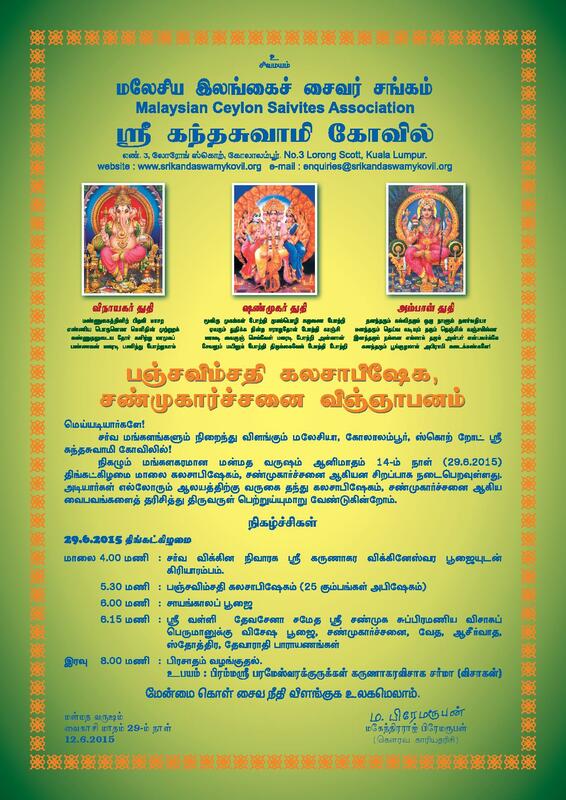 Devotees are invited to participate and receive the blessings of Lord Sakthivel Perumaan.